Today’s message is especially dedicated to the great Sandy Zio…Happy Birthday to a rock star! I like to think that I have some important messages on my blog, in my book, and when I give motivational talks. But those important messages are nothing if you don’t do anything about them – if you don’t take action. A violin virtuoso living in America truly believed that he could play so well that he could actually charm a savage beast. Despite the warnings and pleas of his friends, he decided he would go to the jungles of Africa, unarmed, with only his violin to protect him. He stood in a clearing in the dense jungle and began to play. An elephant picked up his scent, and came charging toward him; but when he came within hearing distance, he sat down to listen to the beautiful music. A hungry cat sprang from a tree with fangs bared but it, too, succumbed to the music. Soon a lion appeared to join the others. Before long, many wild beasts were seated near the virtuoso. He played on, unharmed. So it doesn’t matter what I put on this blog, if you don’t start to apply it to your own life. Don’t think about it…just do it. Looking for the perfect stocking stuffer? 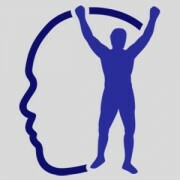 Register now for the sports psychology event of the year on February 21, 2009. John F. Murray, noted sports psychologist and Ed Tseng will be conducting a half-day seminar at CanDo Fitness – Princeton. Email for details.